Bring home this tee from the house of Tales & Stories and give the clothing collection of your kid a fine boost. It features a printed pattern, round neck along with short sleeves which adds to its look, while the use of cotton fabric ensures maximum breathability. 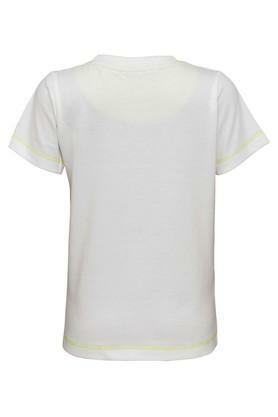 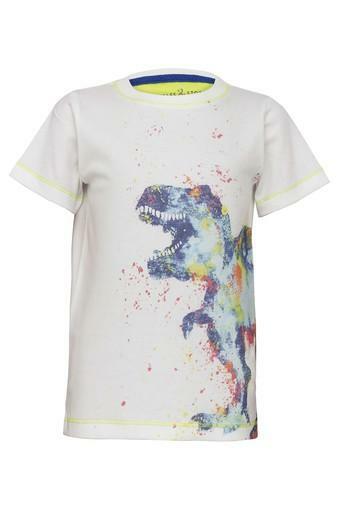 Revamp the style of your little masters clothes by adding this cool tee to his cupboard. He can team it with a pair of jeans and shoes to complete his casual look.